The main difference between dry and wet rot is as obvious as you might think. Dry rot required a lot less moisture than wet rot does. 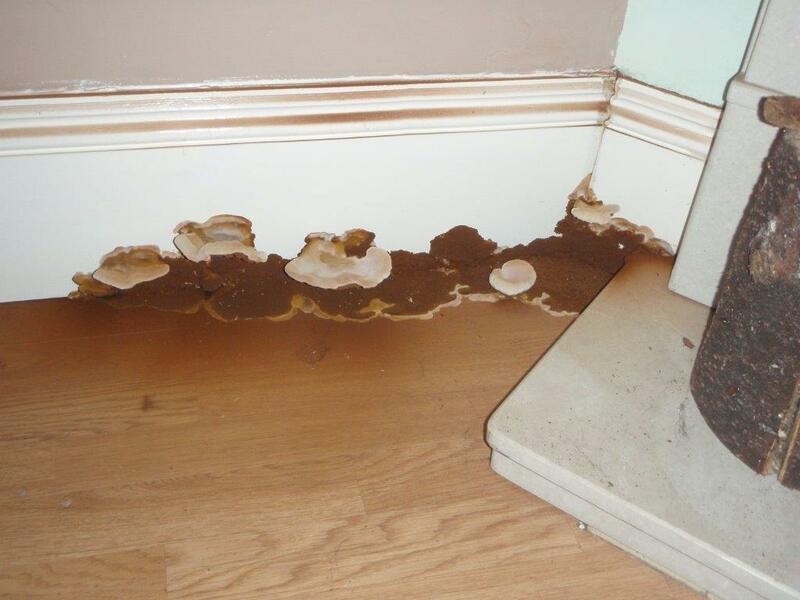 Dry rot has the potential to go undetected for far longer than wet rot and this is because wet rot can usually be spotted by damp patches on the wall or ceiling. 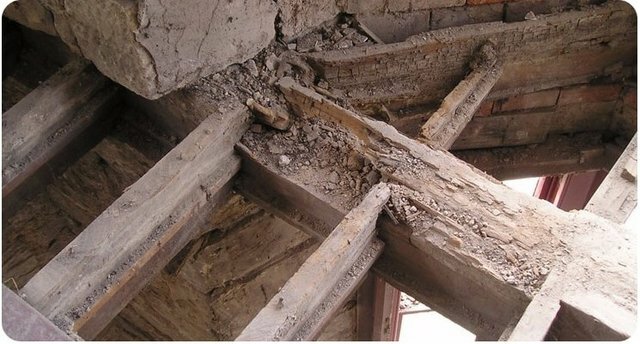 Damaged timber – wood damaged by dry rot can often be characterised by looking dry and brittle. The timber may easily break or crumble in your hand. Concentrated spore of dust – it is extremely common for most properties to have small dry rot spores and these are usually nothing to worry about. What is more concerning is when these spores can be found in larger concentrations. You may be able to characterise dry rot by fine orange/brown dust. 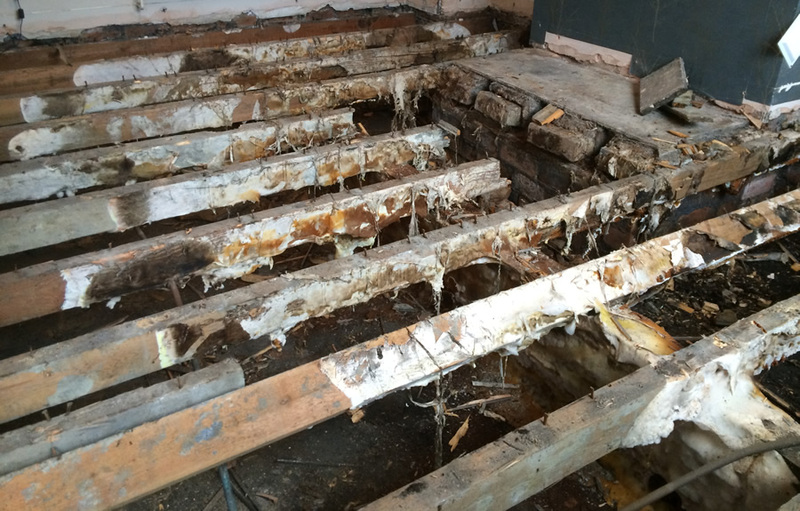 Grey stands on timber – if you notice fine grey strands on timber, then this may be a sign of dry rot. This indicates the stage in the lifecycle where dry rot will spread and grow by taking moisture from slightly damp areas and then feeding on the surrounding timber. White mycelium – white mycelium can be identified as it has the appearance of silky cotton wool. Cushions of this may be visible on the timber. This can range anywhere from a grey to a white colour. Dry rot fruiting bodies – one of the final stages in the dry rot lifecycle is mushroom-like spores that will appear on wood. This occurs when the dry rot can no longer feed on the timber and will pump new spores into the air in order to state the cycle all over again. Smell – even though you may not see any obvious signs of this type of rot, it can still be characterised by a damp, musty smell. This smell is often associated with rotting wood no matter if it is dry or wet rot. If you have noticed any of the signs mentioned above, then the best thing you can do is get in contact with a company that specialises in damp and rot treatments. Rotting in the home can be extremely dangerous when left to its own devices and can cause structural issues. It can also be a health concern, especially in the final stage when spores are sent into the air, making it very likely that you will inhale them. A dry rot specialist will be able to determine the root of the problem and treat it effectively. Preventative measures can then be put in place to help ensure that more problems do not occur.